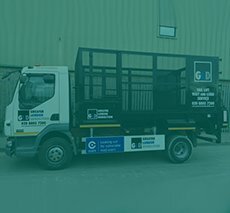 Our Caged Lorry Wait & Load service is ideal for disposing of large, bulky items in locations where it is impossible to drop a skip. 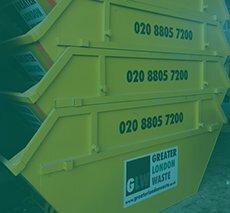 For many years, local councils across London have been annually increasing the cost of purchasing a skip licence. 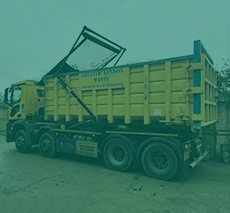 Greater London Waste has the solution, we now offer a 7.5 tonne Wait & Load service where you can load up to 2.5 tonnes of bulky waste in a one-off clearance. 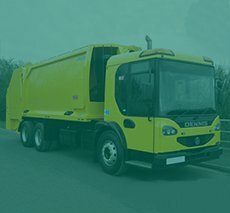 You save on time and money as you do not have to wait for a skip licence to be granted or suffer the ever-increasing cost of having a skip on the public highway. 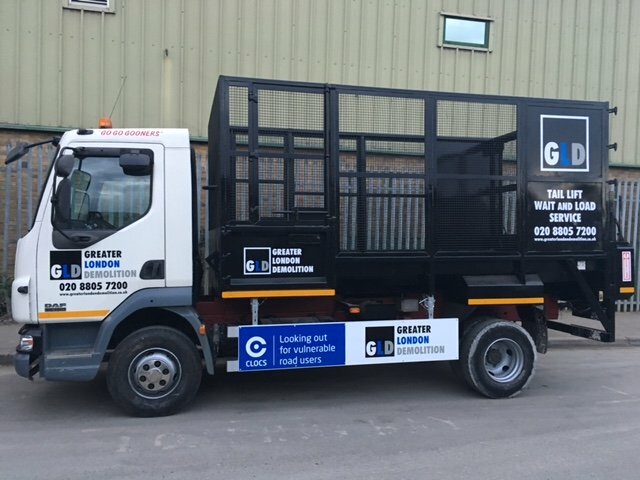 The demand for our wait & load service in London has been so great that we have also introduced a long wheelbase transit with a tailift that can access even the tightest of locations with a payload of 1.5 tonnes to remove your waste. 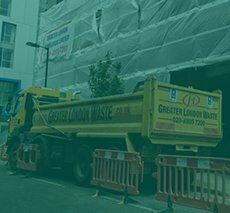 Greater London Waste is your one stop shop for Wait & Loads in London. We take care of all the waste documentation, recycling the waste received back at our licensed waste recycling centre.